Activate your order using the download link on the order page or receipt. Add $20 for 325 eStudy cards. Over 480 questions with comprehensive answer explanations. Questions are presented in two study modes: "Study Questions" and "Practice Exams." Study Question mode provides in-depth explanations. Practice Exams mode simulates taking the actual exam. Preconfigured Practice Exams that can be reset and reworked. Unlimited custom designed practice exams personalized to your study needs. To help focus on your weak spots, use the "Results" table to identify problem areas. Then automatically create a customized Practice Exam based on your unique criteria. "Practice Exam" results also show your progress compared to other WiseGuides EA students. 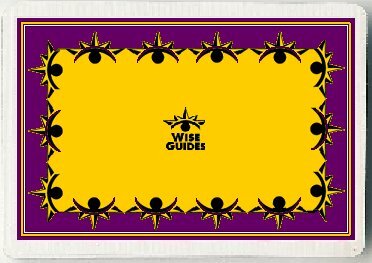 WiseGuides "Dashboard" monitors your exam readiness. Study Question answer explanations linked to eLessons for additional research. Printing by question using your browser (PDF not available). View Part 3 Representation content. Print by topic using your browser printer function (PDF not available). Flash cards are a tried and true supplemental study tool designed to enhance your mastery of the tested material. Available only with eCourse purchase. Guaranteed to Pass. Click here for more information. Access from any Internet based computer or tablet. Click the button below to add the EA Exam eCourse - Part 3 Representation (Online access to eLessons, Practice Exams, and Study Questions access expires 06/30/19) to your wish list.